Dismissing the future of wind power is all too common, with false claims about wind power’s affordability and success plaguing the Australian and U.S news media. Although, when really in comparison to the European Union, the United States and Australia have superior renewable resources. Original article published by Into The Wind. It can be found here. The Wall Street Journal today carried a wildly overblown editorial titled “The New Dark Continent,” attacking Europe’s strong push to develop renewable energy sources. First, the Journal is dead wrong about Europe’s successful transition to renewables. Second, even if its criticisms had merit, they would not apply to the completely different policy framework and vastly superior renewable energy resources that exist in the United States. It should not come as a surprise that owners of other forms of energy don’t like renewable energy providing competition and cutting into their profit margins. However, that does not excuse them or the Journal from making false claims about renewable energy’s cost, reliability, and environmental benefits. As has been explained here, here, and here, thanks to renewable energy, European electric reliability is very high and improving, pollution is drastically declining, and the cost for consumers has been negligible. Attempts to claim renewable energy is increasing energy costs in Europe often misleadingly only look at the costs and not the savings provided by renewable energy. It is also important to understand that other factors in Europe such as increasing natural gas prices, Germany’s decision to phase out nuclear power, and declining coal prices have had larger impacts on costs and market dynamics. Large amounts of wind energy are being reliably integrated in the U.S. and Europe, and with minor tweaks to existing market structures, far larger amounts can be added reliably. In the U.S., AWEA has consistently supported market-based solutions that pay resources, including wind, for providing the services needed to keep the grid reliable. Parts or all of 20 U.S. states operate under centralized energy markets that include capacity markets to pay power plants for the service of being there to produce power when needed. Germany is reportedly looking into establishing a similar market, and either that or other grid reforms should address any concerns about reliability going forward. 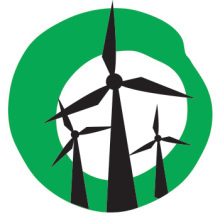 1) the U.S. does not use feed-in tariffs or “must take” requirements for renewable energy, 2) in the U.S., wind power’s price is set on the open market with all other forms of energy, and 3) U.S. wind and solar resources are typically 50-100 percent more productive than those in Germany. The U.S. uses market-based incentives, so developers of wind and solar energy are left to negotiate prices with utilities or sell on the open market. And wind power has succeeded within those parameters, as utility leaders regularly report on how affordable wind power’s prices are. It’s time for the WSJ editorial board and others to stop making false claims about wind power’s affordability and recognize wind power has a strong future, both here at home in the U.S. and across the ocean in Europe.